What is infuriating Europe the most is that the US eavesdropped on allies – but what the administration will not explain is how President Obama didn't know. NBC's Andrea Mitchell reports. The nation's top intelligence official told Congress on Tuesday that the U.S. has been snooping on friendly foreign leaders for years, and getting spied on by allies in return. NSA Director Gen. Keith Alexander testifies that his agency can both defend the country and protect civil liberties and privacy. 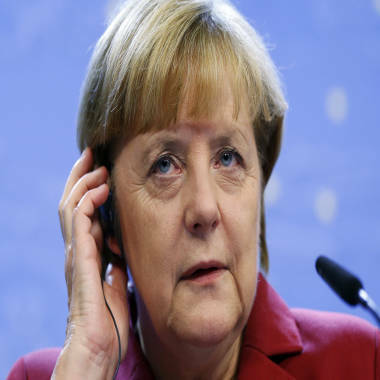 As controversy swirled over reports that the National Security Agency monitored the calls of German Chancellor Angela Merkel and other world leaders, Director of National Intelligence James Clapper gave the impression he didn't know what all the fuss was about. During a grilling by the House Intelligence Committee, Clapper said understanding "foreign leadership intentions" is one of NSA's basic goals. "That's a hardy perennial as long as I have been in the intelligence business,” he said, explaining that the U.S. needs to make sure what allies are telling America matches what's going on behind the scenes. Asked whether allies also spy on the U.S., Clapper was unequivocal: "Absolutely." He suggested the outrage and surprise expressed by representatives of allies in recent days was naive or disingenuous and reminded him of a line from the movie "Casablanca." "'My God, there's gambling going on here?' It's the same kind of thing," he said. President Obama reportedly had to apologize to Merkel and to the presidents of France and Brazil after revelations about U.S. spying — disclosures that stem from former NSA and CIA contractor Edward Snowden's leaks of government documents. Amid the controversy, members of the European Parliament's Committee on Civil Liberties, Justice and Home Affairs were scheduled to meet with a senior National Security Council official at the White House on Wednesday. As the White House tries to control the damage, Obama has promised a “complete review” of overseas spying operations and is reportedly considering whether to suspend monitoring of allies. “What we've seen over the last several years is their capacities continue to develop and expand, and that's why I'm initiating now a review to make sure that what they're able to do doesn't necessarily mean what they should be doing," Obama said Monday in a televised interview. Protesters, wearing oversized glasses, and holding signs, disrupt a House NSA hearing, until they are removed by Capitol police. NSA Director Gen. Keith Alexander said overseas reports that the U.S. had collected tens of millions of phone calls in France, Spain and other European nations were "false." He said the data cited came from foreign service agencies — "collected in defense of our countries and in support of military operations" — and was not culled from European citizens. Clapper and Alexander appeared before the committee hours after a bipartisan team of Congress members introduced a bill that would sharply curb the NSA's collection of American's phone data, legislation that is expected to face a fight from others who think it goes too far. Several protesters wearing clown-size sunglasses with the words "Stop Spying" scrawled on the lenses sat behind the two spy bosses. Both defended the data-sweeping program as lawful, aimed at foreign terrorists and successful in saving lives. Germany's Chancellor Angela Merkel, seen here at a summit last week, had her communications monitored by the NSA. Clapper said he would support declassifying secret intelligence court orders to boost transparency and pointed to plans to hire a director of civil liberties and privacy. Alexander said an independent Senate-confirmed inspector general, one of the proposals the committee is considering, "won't hurt." “We believe we have been lawful and that the rigorous oversight we’ve operated under has been effective,” Clapper said in his opening remarks. But he urged the lawmakers to be cautious in responding to the errors. “As Americans, we face an unending array of threats to our way of life. We need to sustain our ability to detect these threats,” he said. Months of leaks from Snowden are already “affecting our ability to conduct intelligence and keep our country safe,” he said. Alexander struck a similar note in his testimony. “It is much more important for this county that we defend this country and take the beating than it for us to give up a program that would prevent this nation from being attacked,” he said. 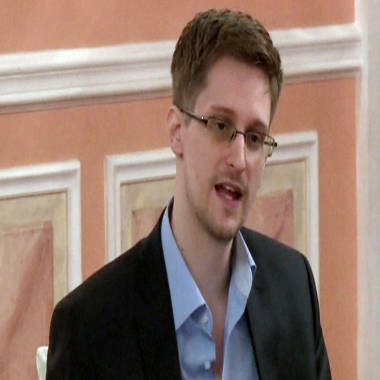 Former NSA and CIA contractor Edward Snowden's intelligence leaks are still making waves around the world. Before the two testified, Rep. Charles Ruppersberger, D-Md., said more transparency and oversight of NSA activities may be needed but said the data collection is crucial to uncovering terrorist plots. “I shudder to think what connections would be missed if the program were eliminated,” he said. A move to significantly alter the program is already under way in the form of a bill that would essentially end the bulk collection of Americans' phone records under the Patriot Act. Among those spearheading the legislation is Rep. Jim Sensenbrenner, R-Wisc., the main author of the Patriot Act, who said that while it has protected Americans since 9/11, it has also been abused. "Somewhere along the way, the balance between security and privacy was lost," he said in a statement. "It’s now time for the judiciary committees to again come together in a bipartisan fashion to ensure the law is properly interpreted, past abuses are not repeated and American liberties are protected. Washington must regain Americans’ trust in their government." The USA Freedom Act would require proof that phone data sought is relevant to an authorized investigation into international terrorism or clandestine intelligence activities — and there is a link to a foreign power or agent. The government would also need court orders to search the communications of Americans collected during foreign intelligence operations. A similar measure failed in the House in July.